The stakes are high: we are one of the world’s biggest financers of energy projects. In 2013-17, the energy projects we signed resulted in avoided emissions annually of about eight million tonnes of CO2, equivalent to emissions from 1.7 million cars driven for one year. In the last five years alone, the EIB provided over €50 billion in energy investment in Europe and around the world to renewable energy, energy efficiency and electricity grid projects. This lending helped make solar and wind power much cheaper, with costs down 73% and 22% respectively since 2010. By 2050, energy costs could fall from 5% of global GDP to a little over 2%. 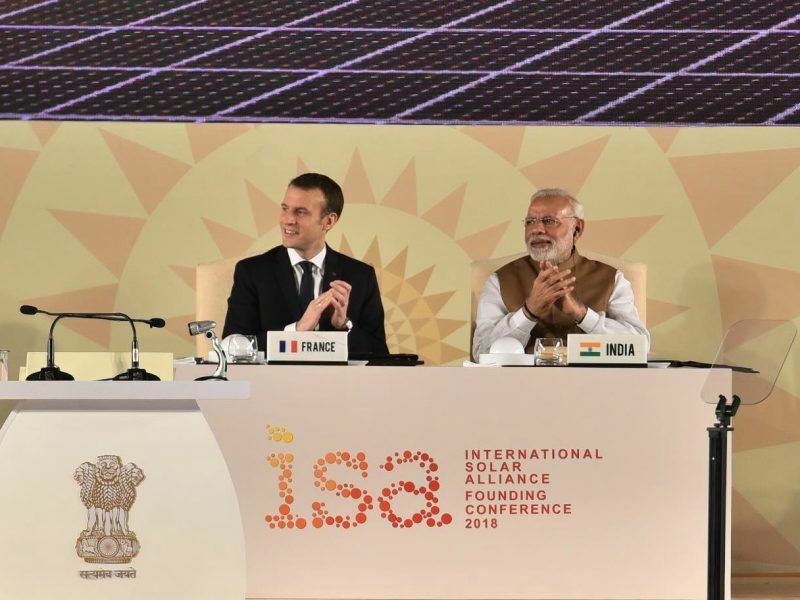 The European Investment Bank (EIB) signed an agreement last Friday (9 March) to provide €800 million for clean energy projects in India, one day before an International Solar Alliance summit took place in Delhi. Today a policy we laid out in 2013 guides our lending. In that year, the EIB became the first multilateral development bank to introduce an emissions performance standard — a cap on emissions in the projects we finance — that blocked loans to coal-fired power generation. We stopped financing coal production 30 years ago. The global impact of EIB renewable energy projects since 2013 will ultimately be 38,000 MW of generation capacity, producing enough clean energy to supply 45 million households. To be sure, part of the balance we must strike between environmental and social concerns is evident in our continued financing of gas extraction, transmission and distribution, as well as some gas-fired power generation. Under our existing policy, we have financed gas to keep energy affordable and secure, as well as to provide backup for renewables, as a cleaner alternative to coal and/or liquid fuels. But as we prepare our new energy lending policy, we believe that the gas industry must now explain its decarbonisation strategy and show how it is consistent with EU emissions reduction targets. Over the next decade, energy investment will have to double. More than 50 million people across Europe live in energy poverty, struggling to get warm enough, unable to pay utility bills or inhabiting places that are damp and mouldy. The wind doesn’t blow every day, and neither does the sun shine around the clock, so we must finance energy infrastructure and innovative digital technologies like smart meters to better manage and store renewable power generated throughout the year. Digital innovation is essential to scaling up the use of electric cars and public transport. The EIB has provided €3.5 billion since 2008 in energy-related research development and innovation, and manufacturing. About two-thirds of that went to wind or solar. But global investment in research and development in renewable energy is still much too low. The global number in 2017 was $32 billion, of which $22billion was provided by governments. That is half of what the EU automotive industry alone invests each year in R&D. Success also depends on the solar panels on your roof and financing from the bank on the corner of your street. In less mature energy sectors, such as energy efficiency and small-scale off-grid renewables, there is room to grow. Local banks and pension funds will have to be part of the financial solution. Given their lack of technical expertise and financial experience in the energy sector, these vital players need the support of large multilateral financial institutions. This month and next, the EIB is holding a comprehensive public consultation on future energy lending. I invite a contribution from all stakeholders concerned or involved with energy policy and investment, or from those wishing to help us accelerate the energy transition. We want to hear from you how we can do better. We must all work together on this great energy transition. How very interesting. During October 2018 I held a “workshop” in Brussels with lobbyists from a range of organisations who were keenly interested in the energy transformation that Europe needs to under take. Big names. It was agreed to hold another meeting, it was agreed to contact the EIB and have them attend. Actually we were not looking for “an expert” we were looking for somebody that could talk, coherently on the subject of “where is the money going to come from to finance the EC’s energy transition ambitions”. According to the fragrant Mrs Pena-Sastre the EIB has no such “experts” – how very interesting. So over to you Mr McDowell – sounds like whilst you talk the talk – your staff (you know – the people that are supposed to make things happen) are incapable of walking the walk. & a PS – I’m not particularly bothered that EIB can’t be bothered to attend – the commercial banks are interested & obviously the EIB is too busy – quite what they are too busy doing – I’ll leave to you to ponder on. 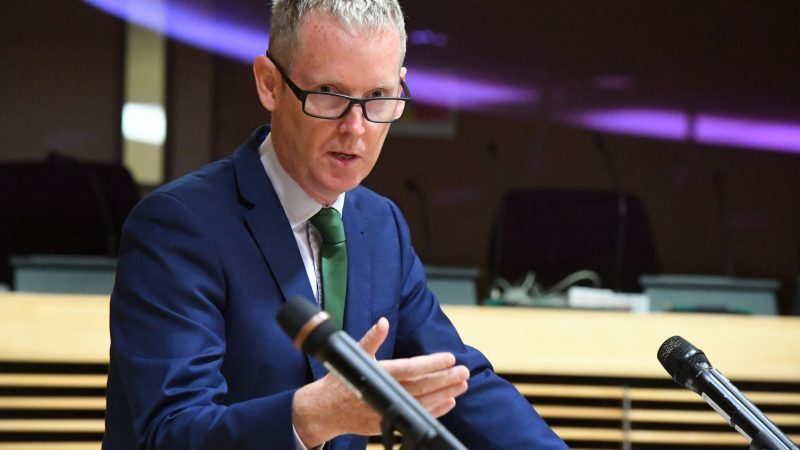 “In the last five years alone, the EIB provided over €50 billion in energy investment in Europe and around the world to renewable energy, energy efficiency and electricity grid projects” – so Euro10bn per year. The EC’s COMM of Nov 2018 notes an EU need for circa E250 to E500bn per year for 20 to 30 years to achieve net zero carbon by 2050. The EIB’s current run rate for loans is about E7bn/month or circa E70bn/year (provided for a range of areas – not just EU energy transformation actions). PWR’s guestimate is that the EIB’s run rate would need to move closer to E20 to E30bn PER MONTH for RES and energy efficiency if it is going to make an impact. The bulk of this would go to that hoary old/difficult to resolve chestnut: energy efficiency and energy renovation of Europe’s energy incontinent buildings. With respect to this comment: “The wind doesn’t blow every day, and neither does the sun shine around the clock, so we must finance energy infrastructure and innovative digital technologies like smart meters to better manage and store renewable power generated throughout the year” – I will respond courteously. Smart meters are counters – that is all. Energy management requires a BMS (building management system) or SCADA (Supervisory control & data acquisition) if we are talking factories & such like. I know a little bit about these things – I design & install them to work with renewable systems. None of the stuff we install needs or uses “smart meters” because the sample rate is far too large and they do not deliver the accuracy we need. In the case of ” The wind doesn’t blow every day”, I’m doing a project which will use (only) electricity from a wind farm to deliver district heating to a housing estate. I have run the numbers, it will work with very modest amounts of heat storage. As for the infrastructure aspect – minimal in the case of this project which could be repeated in many other locations. Indeed, it will be a world first. I remain interested in engaging with the EIB as do the people who attended the last workshop and who will attend the next one. However, the response of one of your staff members sits very badly with the declarations in the article. I am a nobody – the people/companies attending the last workshop future one are most definitely not. Something to think about. I am just a retired auditor since August 2012. But I sometimes hear some clever people, my friends, asking questions like why is Europe not investing in hydrogen cars instead of electric ones. I do not know much about the technology needed for such a project but from my high school chemistry, I remember H is the most abundant chemical element in nature, not depending much on windy or sunny days. Correct me if I am wrong, please.